You can now avail one of your favorite O+ Android phone with huge price discount on your favorite online shop. Lazada Philippines is having a back to school sale on Oplus phones with up 47 percent off from its regular price. 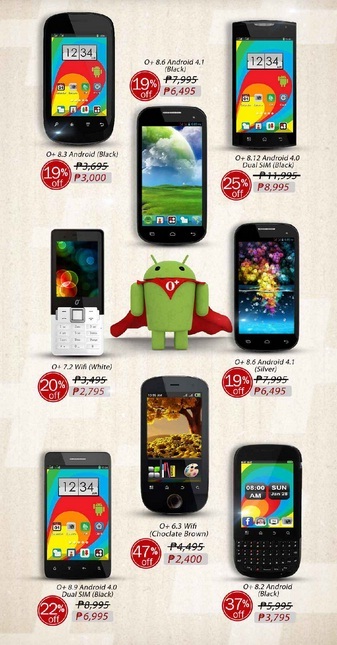 You can get discount from their basic Android phone to latest one that runs on Jelly bean OS. Lazada Philippines offers free shipping and accept payment methods like Cash on Delivery (COD), VISA, Mastercard and BDO installment. For other O+plus products you can visit their website to check the latest price and latest available android phone and tablets.